"Be SHORE To Please You"
"Our Deputy Director was just in my office and he was very complimentary about the food for the catering you provided last week out in Parkhill. He did his block training with the London Unit last week and he couldn't say enough good things about the catering services that were provided. Sometimes people only hear the bad thinks so I thought I would share the positive feedback with you. Thanks for taking good care of the members training there." 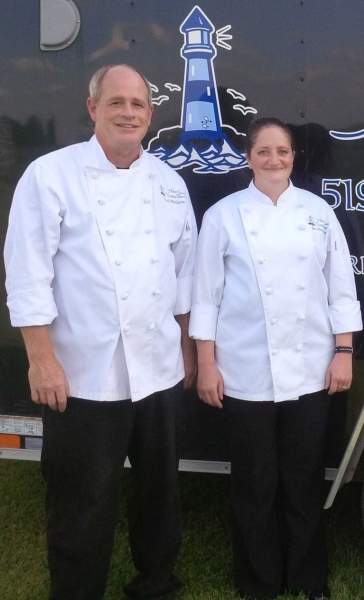 "I just wanted to follow up on the exceptional service and the quality of the meal you provided for the GrandBend Cruising Club Commodore's Ball. The meats, especially the Prime Rib was done perfectly, the sides were absolutely delicious, the portions were huge, fresh desserts and resonably priced. The staff was a pleasure and the meal service was seamless & quick. We look forward to working with you again in the near future. Your dedication and quality speak volumes and sets the bar high for any of your competition." "I have been meaning to email you for a while! I wanted to say thank you for all of your services at the Wedding. I know I can speak for everyone who was there and say that the food and service was outstanding! We really appreciate the fact that you take such pride in your talents. Your team certainly added to the long lasting memories of our special day. Thanks Again,"